Rice is a common side at our house since we eat lots of Asian and Mexican food, and our pantry is stocked with several different types. For Asian dishes we cook with brown jasmine or brown basmati rice or a couple different kinds of short grain rice, depending on the dish. 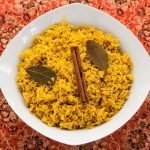 This traditional Indian basmati rice dish is flavored with cinnamon, cloves, turmeric, and bay leaves and goes well with a variety of Indian dishes. We make it with brown basmati rice, but you can also use white basmati rice. 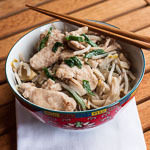 This is a super easy dish for the kids to make, whether you cook it on the stove or in a rice cooker (both methods below). Soaking the rice is important so the grains can expand fully and the kids can manage that task very easily, just rinse the rice first then soak in water for 30 minutes and drain before cooking. 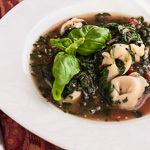 In fact, this is one dish that kids can make almost completely on their own. Here’s how you make it, as demonstrated by Top Gun, 7 years old. 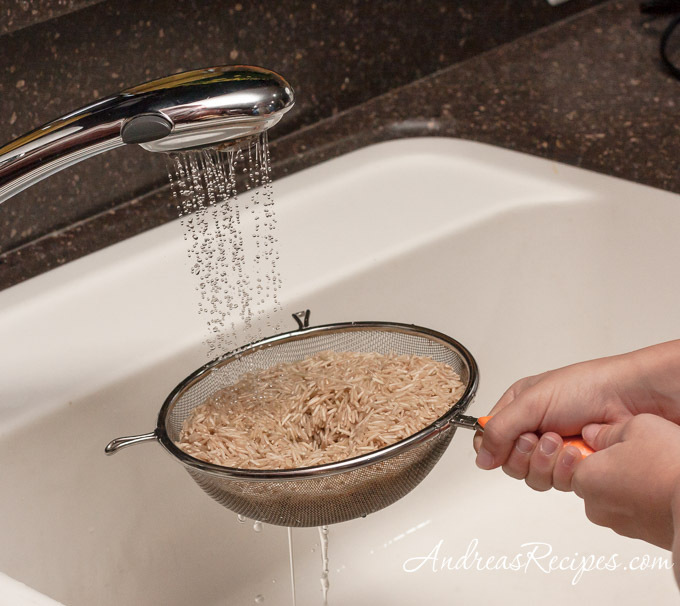 Rinse the rice until the water runs clear, then soak it in a bowl of water for 30 minutes and drain well. Put the rice in the cooker or pot, add the spices and liquid, then cook. 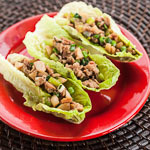 Make sure to visit The Kids Cook Monday for more recipes to cook with your kids. Demonstrate and assist with any tasks that might be new. Explain stove safety if cooking rice on the stove. Make sure an adult or older child turns on the stove. 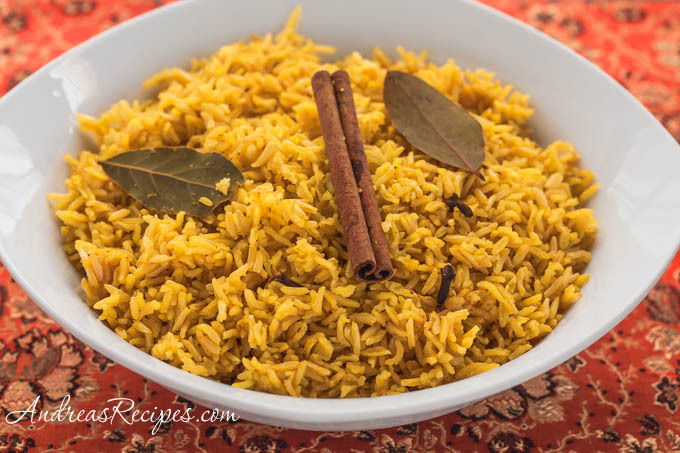 Recipe for delicious savory yellow rice made with brown basmati rice and spices. Naturally gluten-free. Rinse the rice in the strainer, then transfer it to the medium bowl. Add water to cover and allow it to rest for 30 minutes. Drain well. Add the rice, salt, turmeric, cloves, cinnamon stick, and bay leaves to the bowl of the rice cooker, then add the broth and cook according to your manufacturers directions. Add the rice, salt, turmeric, cloves, cinnamon stick, and bay leaves to the 4-quart pot, then add the broth and stir. Bring to a boil, then cover with the lid and reduce heat to low. Cook for about 25 minutes, then turn off the heat. Allow the rice to rest undisturbed for about 10 minutes. 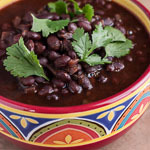 Remove the cloves, cinnamon stick, and bay leaves. Cut the butter (if using) into small pats and gently stir in with the rice. Prep Time includes soaking time. 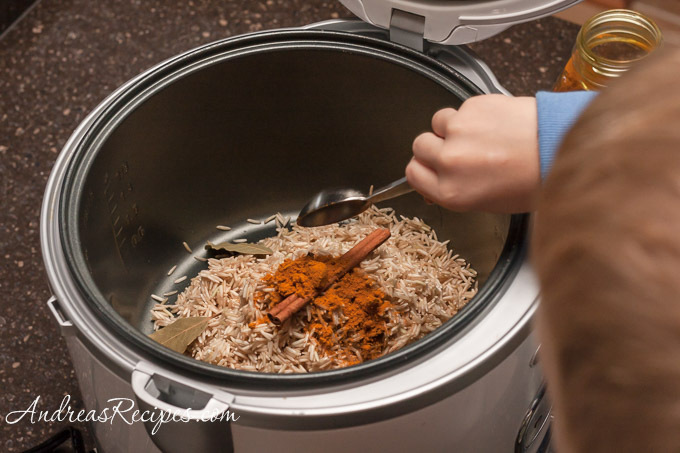 We’re big rice fans in our house too – can’t wait to try this! Sounds delicious, and I love turmeric!